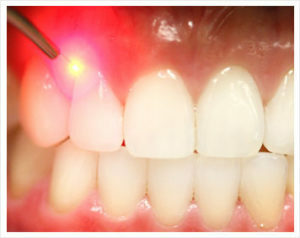 Mango Dental provides a wide range of dental services in Greensboro that can meet almost any dental need. Our patients continue to return year after year to our Greensboro dentist office thanks to our exceptional skill, knowledge, and care. Nitrous Oxide (aka laughing gas) is available for patients who are nervous about going to the dentist. Nitrous oxide is a safe and effective sedative agent that is mixed with oxygen and inhaled through a small mask that fits over your nose to help you relax. Ask the front desk or your hygienist if you would like to try nitrous. At Mango Dental, our dental services in Greensboro continue to expand along with our ongoing dental education. As a result, we are always welcoming new patients. Please stop by our Greensboro dentist office or call 336.275.4747 to receive more information on our dental services or to schedule a smile makeover consultation with Dr. Mike Mango.